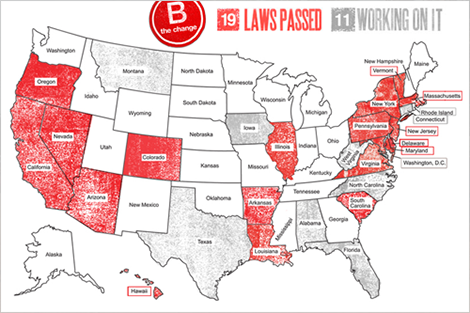 SustainAbility Vice President Michael Sadowski interviewed B Lab co-founder Bart Houlahan about the significance of new benefit corporation legislation which passed into law in Delaware this month. The latest in SustainAbility’s&nbsp;On Our Radar blog series explores how fossil fuel divestment is gathering momentum and looks at how brands in emerging markets are gaining influence. SustainAbility has signed the BICEP Climate Declaration, a statement calling on U.S. policymakers to capture the American economic opportunities of addressing climate change. We want to hear from you. We are headquartered in London and have offices in Washington, New York and San Francisco. This email was sent to email gallery. You receieved it because you are a client or partner of SustainAbility of subscribed via our website. To ensure you continue receiving our emails, please add us to your address book or safe list.